Photos are much more than postcards of what you can see in a place, so please “read” between the lines. There are some personal quirks here in the photos – as an Iowan, a certain obsession with corn, especially where grown someplace silly (central Spain with irrigation? buy from Iowa! ), or next to grapevines, next to the sea or still in the fields and green in early November. 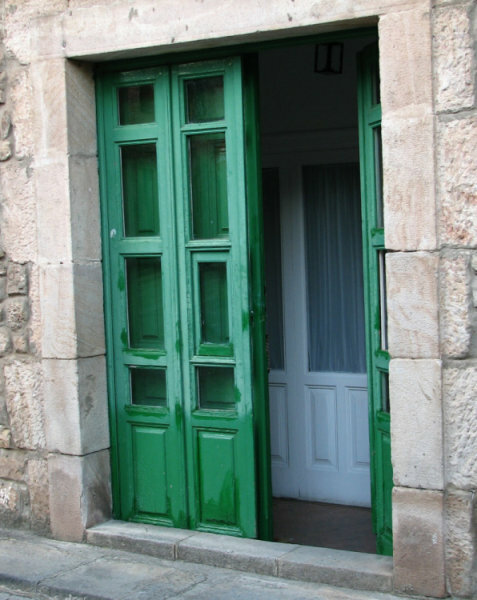 And yes, there are some jokes, like the ongoing “green door” theme, a code for umm…. looking for a friendly tree when certain needs strike while on the trail.